Griso is a character in “The Betrothed”, a famous Italian piece of literature in which the character is described as being a tough and fearless leader. A fitting description to give to this motorcycle as well. 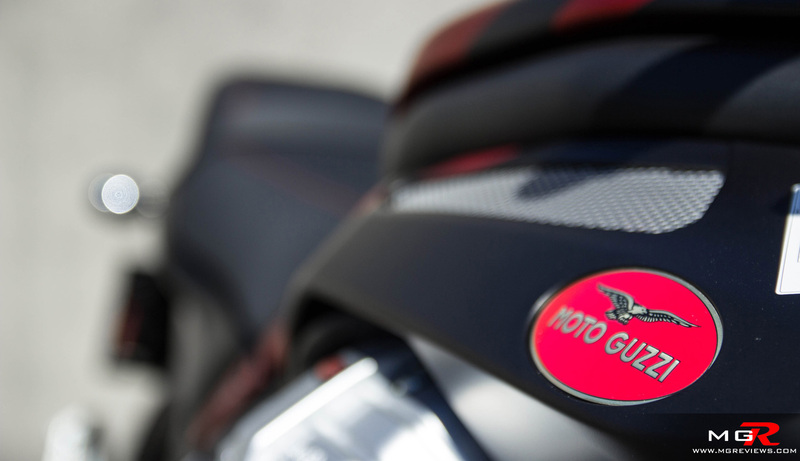 The Moto Guzzi Griso exudes power from the moment you set eyes on it. The large cylinder heads bursting out from inside the frame and the muscular shape of the gas tank scream for attention. 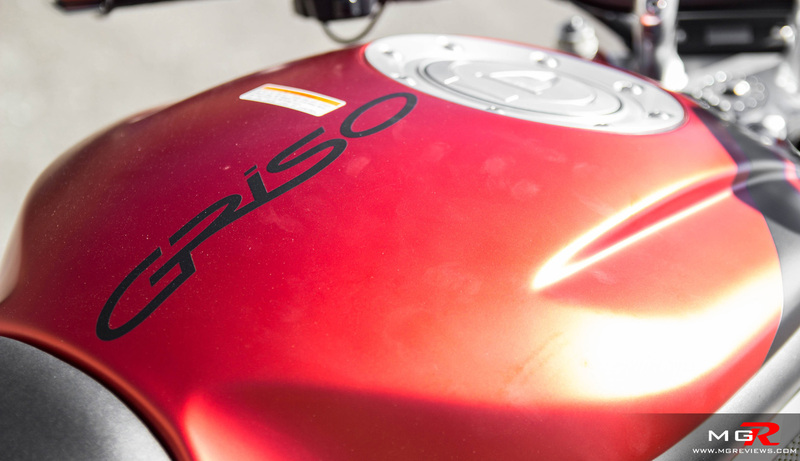 The Griso also incorporates some styling cues that you’d find on most classic looking Italian motorcycles. Things like the wire wheels, the single sided swing arm, and the hand stitched seat with red contrasting. It’s all meant to turn heads and anyone who takes a close look at it, will appreciate the superb fit and finish of this handsome Italian. Performance – But the toughness of this bike doesn’t come only from the way it looks. 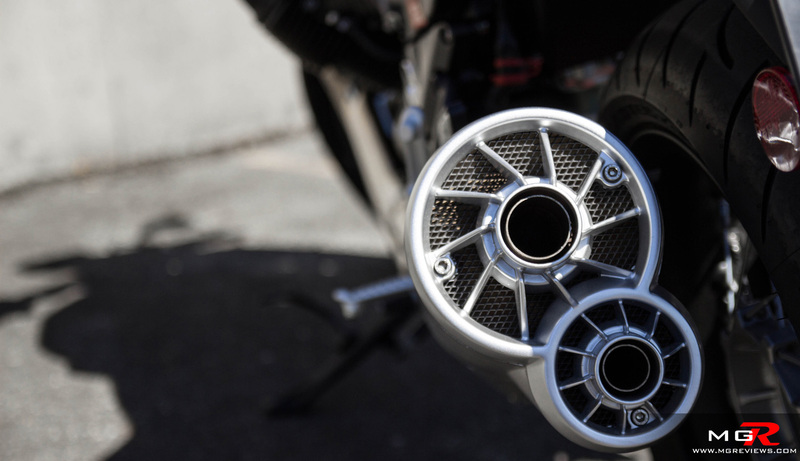 It comes from the 1151cc 90° V-Twin engine that looks like it would feel more at home in an airplane rather than a motorcycle. 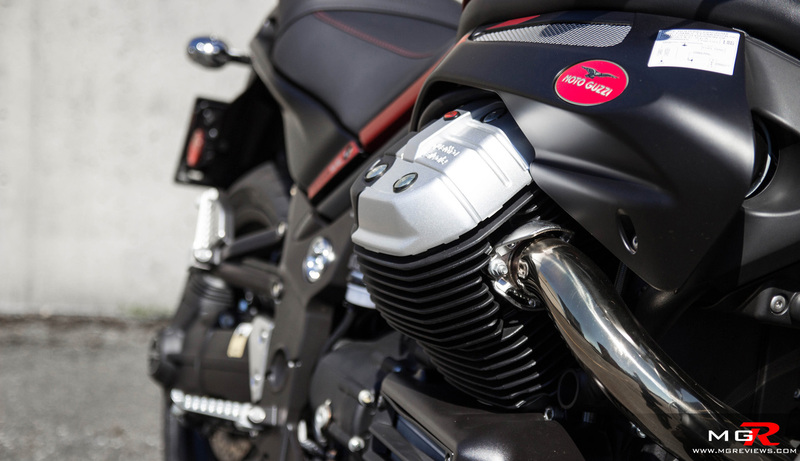 The engine produces (a very Italian might I add) “over 110hp” and 80 lb-ft of torque according to Moto Guzzi. You immediately feel that power from the moment the engine starts. The entire bike shakes and vibrates at idle. Twist the throttle and the bike wants to tip over as the rotational force of the crankshaft literally moves the bike. On the move of course you don’t get the feeling of tipping over, instead you get the feeling of low-end torque pulling you back and forcing you to hold on tight to the handlebars. That peak power of “over 110hp” comes in at 7500rpms and maximum torque is reached at 6400rpms. 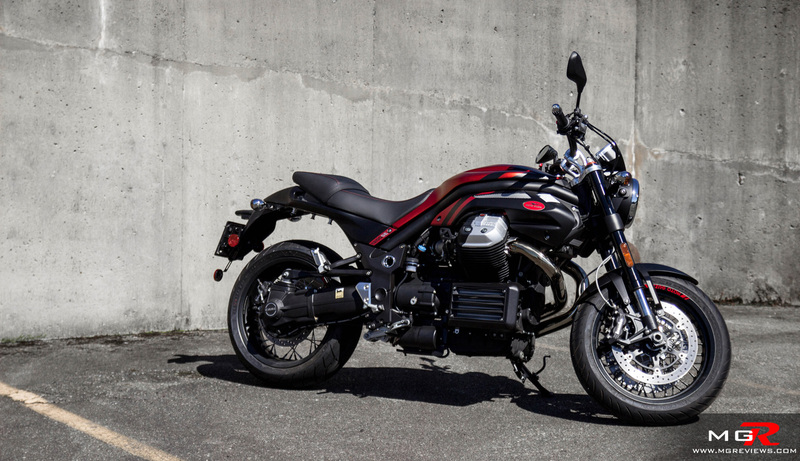 Unlike another famous Italian motorcycle brand that uses v-twin engines, the Moto Guzzi Griso’s engine hits the redline at just 8000rpms but the power delivery throughout the rev band is linear and what you’d want from a bike. Mated to the engine is a 6-speed transmission that sends the power via a drive shaft to the back wheel. At low rpms, you can feel the clunk of the driveshaft backlash or when selecting different gears. But once the rpms increase along with the speed, you don’t feel the driveline lash and shifting is smooth. 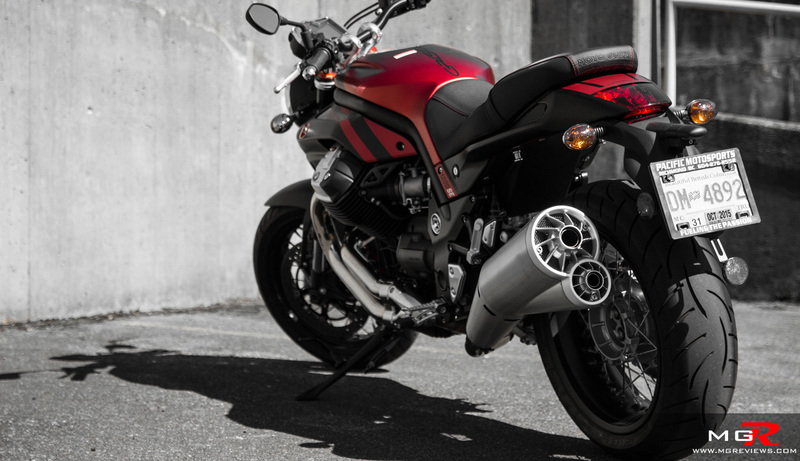 The pleasant surprise with the Griso is that despite its hefty size, it is a very capable handling motorcycle. 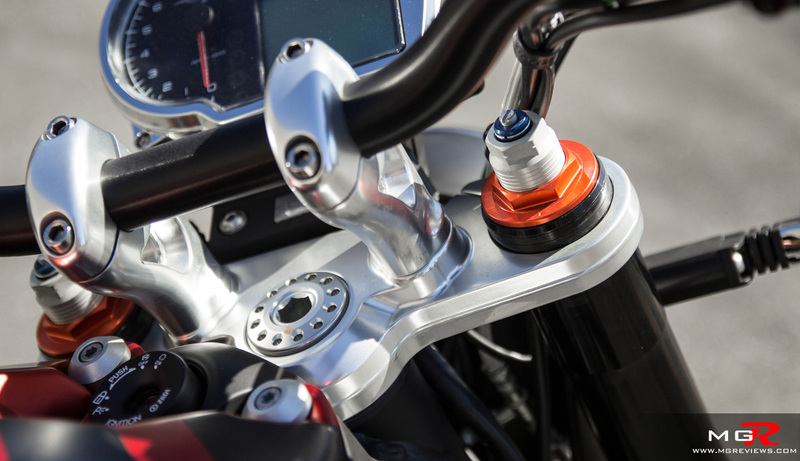 The front inverted Showa forks and rear Sachs shock are fully adjustable to suit the rider’s preference. 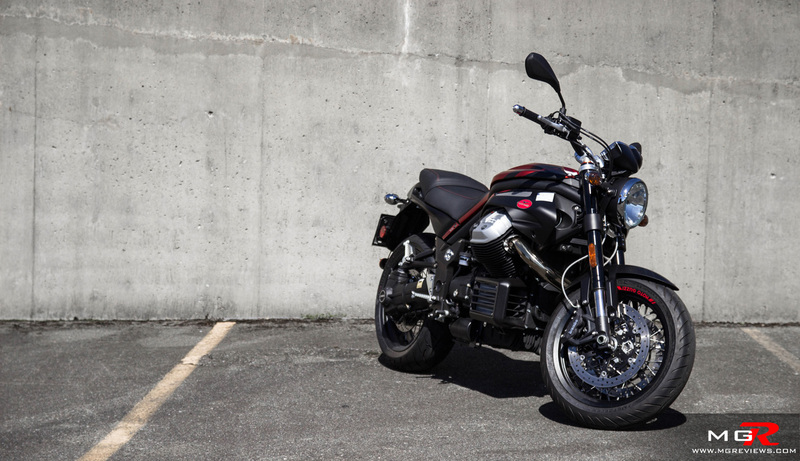 The bike feels planted through corners and the wide handlebars make turning an ease mid-corner. The only limitations to this bike’s handling are the standard tires. The only thing that you’d need to do if you buy this bike is change to stickier tires and you could give riders on 600cc sportbikes a run for their money. 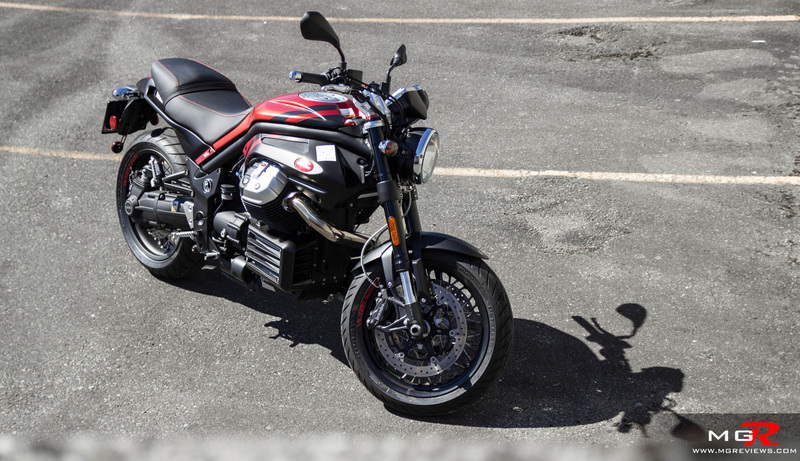 Of course if you are going to do that, you’ll also need to stop like they do and the Moto Guzzi Griso has that base covered. 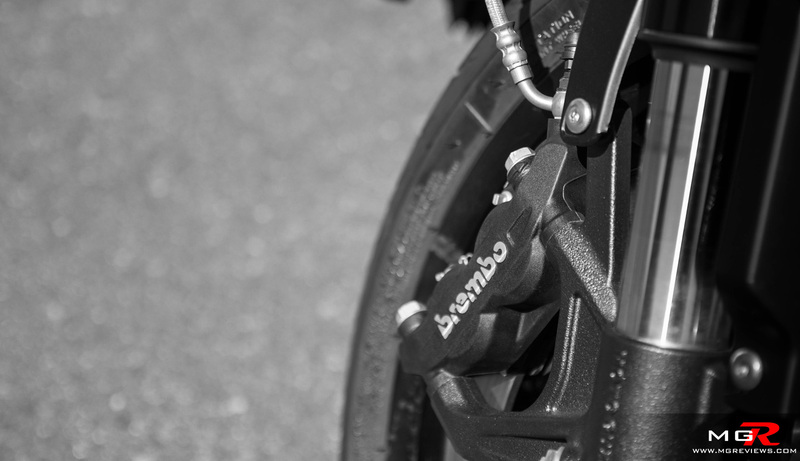 Standard are radial Brembo calipers measuring 320mm in the front and 282mm in the back. 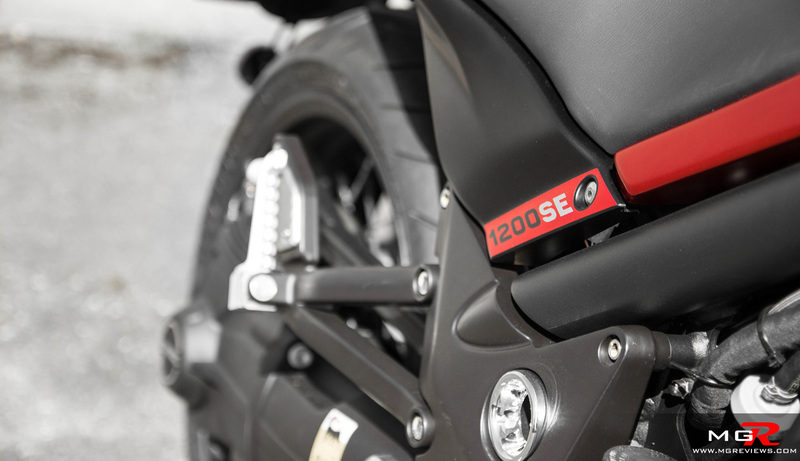 While initial bite is not as strong as you’d find on a sportbike, the brakes have more than enough power to lock the wheels. Unfortunately the Griso is not available with ABS so you’d have to be careful not to pull that brake lever too tightly. Comfort – When you’re not having fun with your friends around mountain roads, the Griso offers a comfortable ride in the city. The seating position is upright but with a slight forward cant that shorter riders will definitely notice. 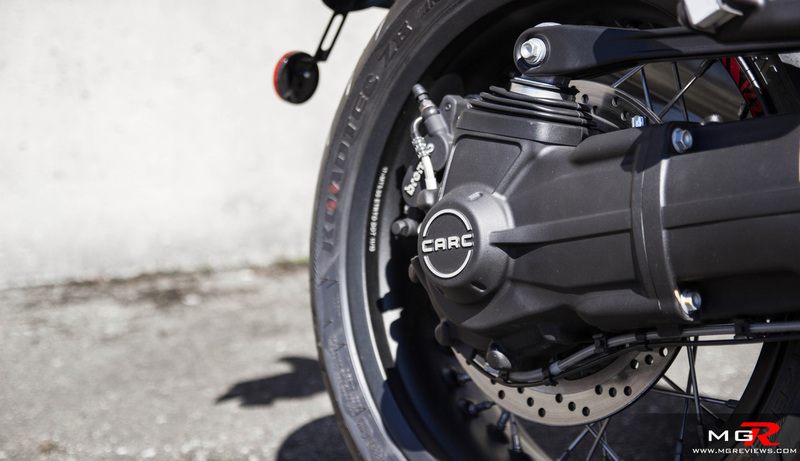 Like all other naked motorcycles, the Griso doesn’t offer any wind protection at highway speeds and on long journeys the vibrations from the engine can leave your hands feeling a bit numb. 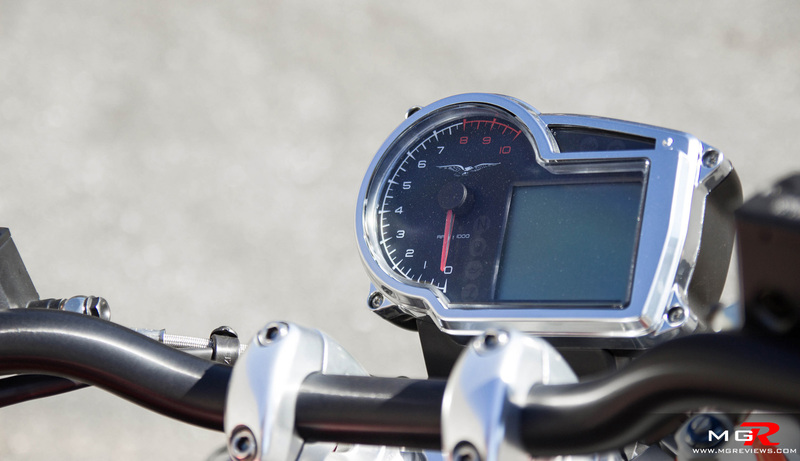 The rider interface is simple and features an analog tachometer with a digital speedometer. The controls on the other hand have a bit of Italian “idiocy” to them. 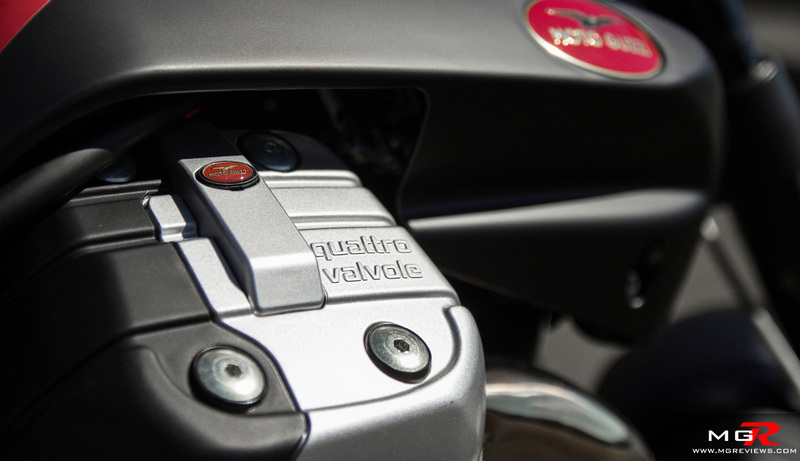 On most motorcycles, the turn indicator switch is above the horn switch but on the Griso they’re reversed. 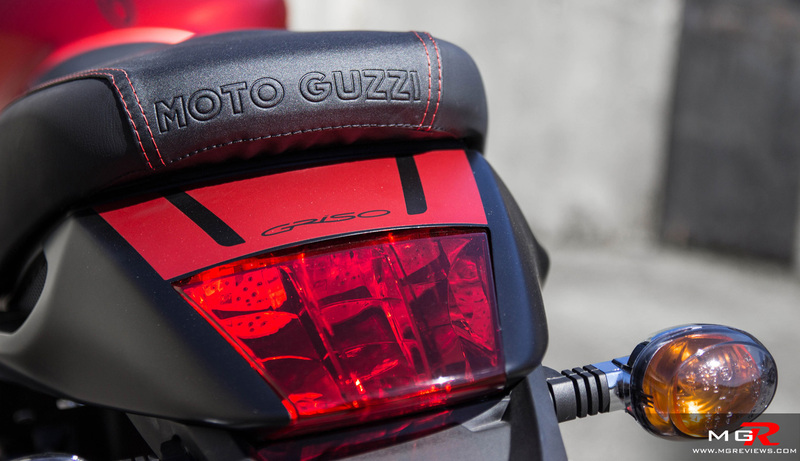 So if you hear a rider on a Moto Guzzi Griso honking, they’re not honking at you. They’re just trying to find the turn signal. 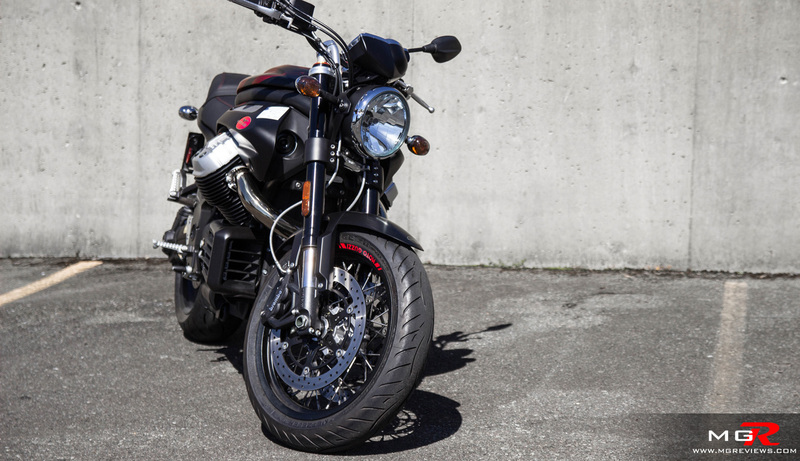 Odds and Ends – The Moto Guzzi Griso is not a perfect bike. It has some quirks but somehow it feels like it’s ok because it’s an Italian bike and you expect that from the Italians. 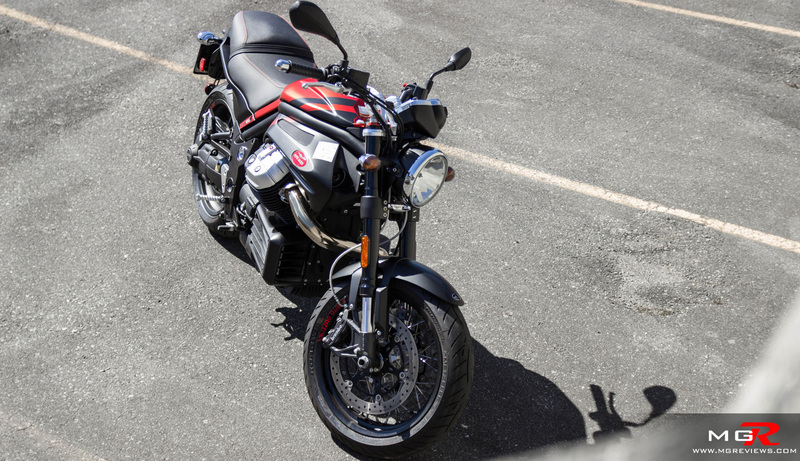 The Griso can almost be described as a gentleman’s bike thanks to its classic styling that appeals more to the older demographic but still provides capable handling dynamics that every motorcyclist will enjoy. Thank you to Pacific Motosports for providing the motorcycle.